We all know and have been hearing since long about how popular stainless steel has become in professional as well as home kitchens. 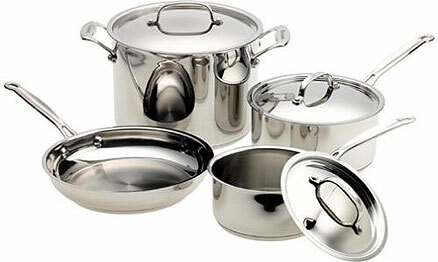 There are various types of stainless steel pots and pans available. Each one is for different uses. It is important to buy the ones that best match the purpose we are buying it for. There are three varieties of Stainless steel that are usually mentioned. They are 18/0, 18/8 and 18/10. These numbers represent the chromium/nickel proportion in the alloy. In all the three types, 18 parts are chromium. In 18/0, there is no nickel at all. In 18/8, there is 8% nickel and in 18/10, there is 10% nickel. Chromium helps prevent rusting of stainless steel and nickel adds to the shine and durability of it. Thus 18/10 is the best quality Stainless steel that one should buy. This does sound strange. But, we rarely know that stainless steel is not a very good conductor of heat. Thus, it may happen that one part of the cookware will get heated more than the other part. It is thus necessary that another core metal is added into it. For this purpose, either aluminum or copper is used. Copper is a very good conductor of heat. A single layer of copper may work as good as 3 layers of aluminum. It is important to know that a cookware with an aluminum base may be heavier than that having a copper base, but both are equally good. The best handle that would suit a stainless steel utensil is a course stainless steel handle. The reason that this may prove to be better than other plastic or similar material handle is that the cookware can then be placed in the oven as well. Though the stainless steel handle may also get heated, it will not be damaged. Stainless steel handle will last longer and will keep one free from maintenance factors. 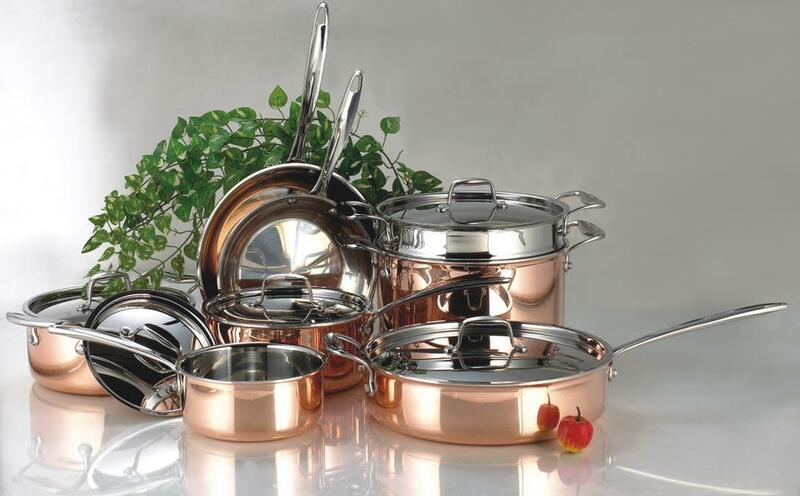 It is important to check all the above factors while buying a stainless steel cookware when durability and quality is the most important thing that you may consider. We all know that Stainless Steel is an alloy of iron. It contains more than 10% of chromium. It is said to be rust free and can stay stain free too. This makes it the most used metal in the kitchens. Sometimes, this metal may look dull and show finger prints over it. Stainless steel is said to be a hard metal and hence is used to make various utensils, sinks, counter tops and tableware. While these things are being made, a little of chromium is used to form a hard coating over the metal that acts as a protective layer on it. It this layer gets damaged or removed, the stainless steel may begin rusting like any other steel. Usage of the following things will help in better maintenance of stainless steel articles. Olive oil: Olive oil when used to clean a stainless steel sink, will help remove streaks. Simply rubbing the oil over the sink may also help. Vinegar: Undiluted vinegar on a piece of cloth will help clean and polish stainless steel. It can also be used to remove heat stains from stainless steel cutlery. Stainless Steel Cleaner: A cleaner that is meant for cleaning stainless steel can be of great help. This will help clean the steel in a better way and will also help maintain the protective layer on it. 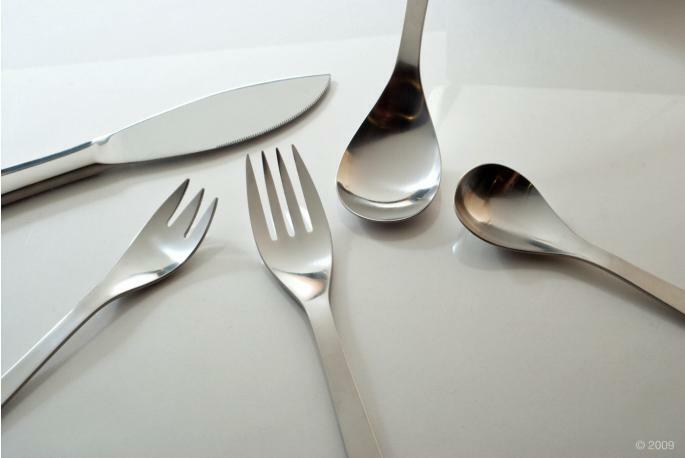 Flatware: Stainless steel flatware should be washed either by hand or in a dishwasher. If the flatware would not be washed soon, it is important to rinse off all the acidic or salty food on it. Utensils: Do not let pans boil dry and avoid heating an empty pan over the burner. Do not let food stick on to the steel as it becomes difficult for cleaning. Do not use harsh abrasives or steel wool over the metal. Tough stains can be removed using mild abrasives that remove stains but do not harm the metal. Sinks: Perforated rubber or Plastic mats will help reduce scratches caused by pans or tableware. 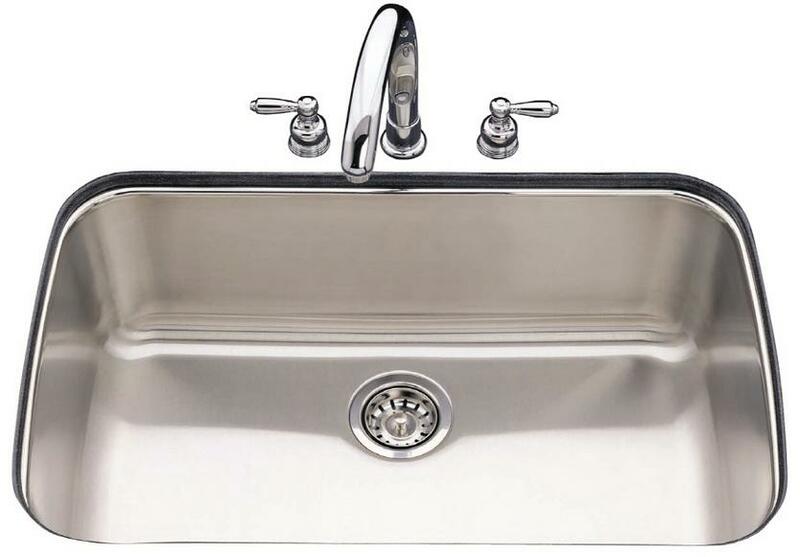 Sinks can be washed and polished using a good stainless steel cleaning solution that is easily available in the market or online. Maintaining stainless steel articles can prove to be a tough job. But, if not maintained, it will spoil the look of the metal and will reduce its usage. Thus an appropriate methods of cleaning and keeping if free from stains and scratches is necessary. 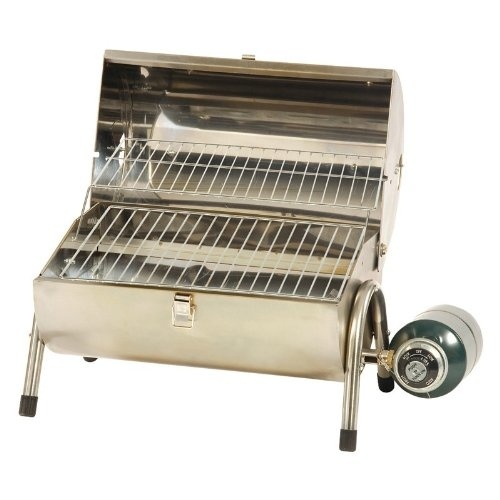 Just because you bought stainless steel barbecue grill that doesn’t mean that it won’t stain, lose color or even rust. You have to be using some prevention or cleaners after every use of the grill. Every time you use the barbecue grill, there will be a formation of char hence you have to remove rust from barbecue in order to keep a shiny and better product to be used for the next time. Firstly, you have to get a good grill cover that protects it from humidity, dust and dirt. The cover will keep the barbecue elements remain clean and tidy. During the routine maintenance, you have to brush the grills and other elements of the barbecue. There is stainless steel treatment available in many service centers. You can avail them only when there is severe formation of rust on your barbecue grill. Otherwise, you can get stainless steel rust removers in the market place. It is truly understandable that it is very difficult to dismantle every part of the barbecue grill and clean it. It is definitely a time consuming job. Also a dump of charcoal and ash is a headache. In order to make your job simple and easy you can go for the semiannual stainless steel cleaning. You can soak the grates, scrub the grills and cues with hot soapy water and cook them for 10 to 15 minutes in order to get rid of bacteria’s and other dirt off the barbecue. After cleaning the barbecue, you have to polish them to give a new look. You can make use of the baking soda for the same. Sprinkle away the baking soda with a small amount of water for a few minutes and later wipe it with a sponge. You can also clean stainless steel barbecue with the chemicals. But, it is not advisable. Chemicals cannot be removed from the grill easily and it may spoil your food as well. Hence it is better to go in a natural way and clean the barbecue grill with the hot soapy water.